Although randomized controlled trials (RCTs) are often assigned the highest level of evidence within the EBM framework, not all RCTs are conducted the same way and consequently the results should be carefully scrutinized. Conclusions from RCTs are influenced by many potential confounding factors such as sample sizes, blinding, bias, statistical analysis, as well as the potential of type 1 error. 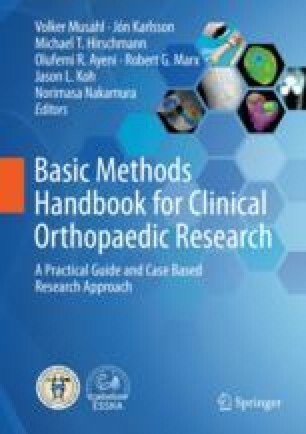 Expert opinion and other level 5 methods are often seen as the first step in the evidence-based medicine hierarchy framework, from which more robust, comprehensive evidence-based medicine may be generated. By using expert opinion and consensus statements to develop an evidence base, practitioners can move beyond relying on their own experience and can avail on an accumulated experience of a larger cohort of practitioners in their respective field. Level 5 evidence may also facilitate the development of clinical practice guidelines or in assisting healthcare stakeholders with decision making, thus highlighting opportunities and areas for future research. Although at the lower end of the evidence-based medicine hierarchy, level 5 evidence methods have the added advantage of being feasible with limited resources where it may not be feasible to carry out randomized controlled trials, population surveys, or cohort studies.